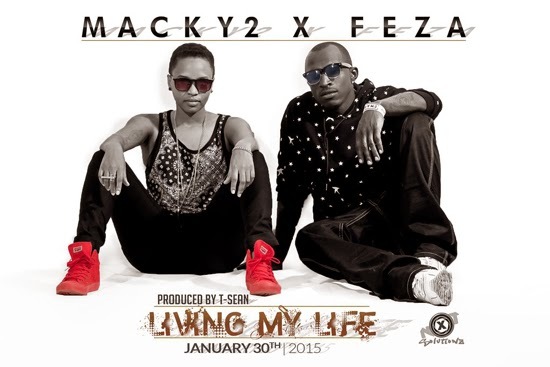 'Living My Life' is a brand new song by Zambia's Macky2 featuring Tanzania's Feza Kessy and was produced by T-Sean. great song.FEZA SWEET VOICE.MAcky 2 you are the man my son. Oh I lov it Marky & Feza nice, Marky you have SWAG boy, I dont care who says what, Feza my red hair queen, still beautiful as ever, Luv u guys!!! the transition from the main verse to the chorus is not smooth.